There is a new fling app which will interest many home lab users as this application will be able to add an additional Network adapter via USB port to your ESXi host. USB-based network adapter can also be plugged in and unplugged while ESXi is running (Hot-plug). When you have no free PCI slot in a tiny case or using Intell NUC for your homelab, this fling is for you. 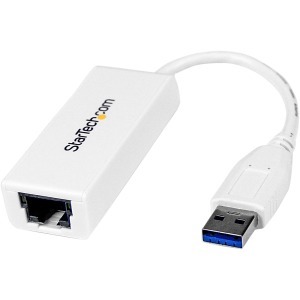 USB network adapters are also widely used for Edge computing platforms. The USB network native driver for ESXi can be downloaded as a VIB. Many VMware users running their home labs on Intel NUC platform which is cost effective, low power and noise, and relatively inexpensive. I think they’ll like it. The Fling’s authors are Songtao Zheng and William Lam. This Fling supports three of the most popular USB network adapter chipsets found in the market. The ASIX USB 2.0 gigabit network ASIX88178a, ASIX USB 3.0 gigabit network ASIX88179 & the Realtek USB 3.0 gigabit network RTL8153. Image from VMware Labs showing the requirements. As you can see, you’ll need to be on ESXi 6.5 or 6.7 and have USB chipsets as on the image below. 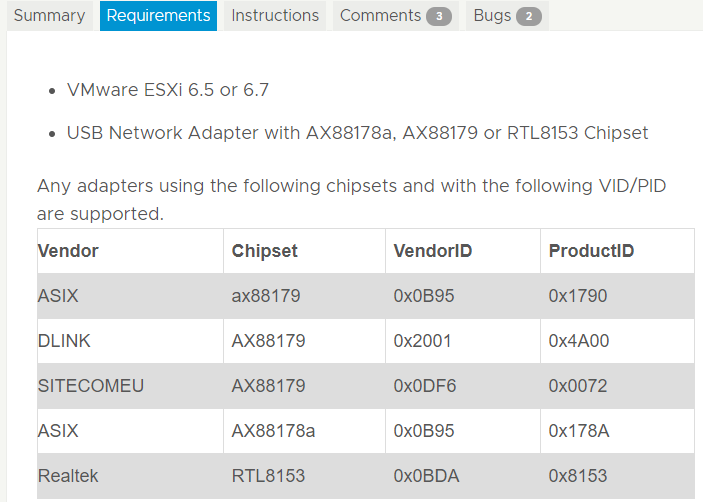 The product’s page can be found here – USB Network Native Driver for ESXi. After placing host into maintenance mode, you upload the ZIP file to a datastore visible by the ESXi host where you want to install. Then plug-in the USB NIC and reboot the host. 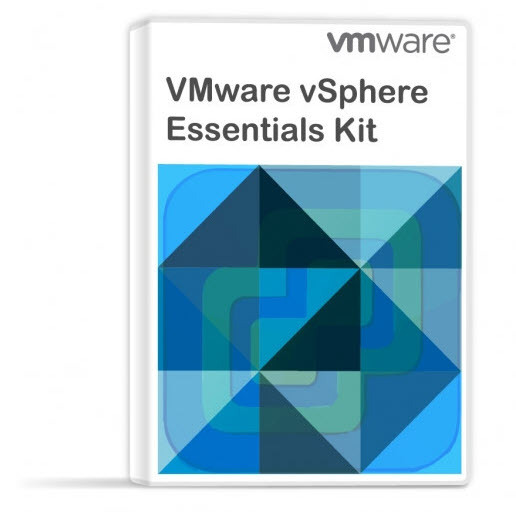 It also shows the way VMware is going. Latest VMworld we have seen ESXi on ARM platform. It’s an only logical step for VMware to enable USB Network devices (with USB Network Native Drivers). A device with limited ports and as such, limited connectivity options.